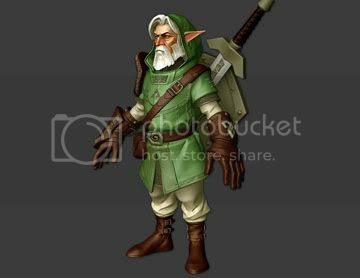 Elder Link? Yes. 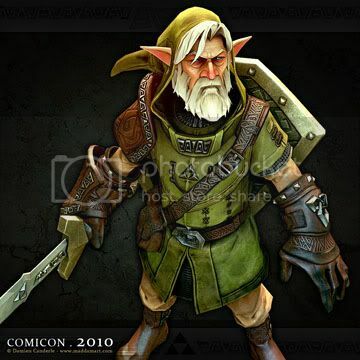 This Comicon Challenge 2010 entry by Damien Canderle depicts an aged Link weary from battles yet still standing strong. The entry is posted on Z Brush Central‘s forums and the specific post as well as more pictures of this great 3D model can be found here. As someone with some experience in 3D modeling I can tell you in full confidence that this is the work of a very technically minded person. 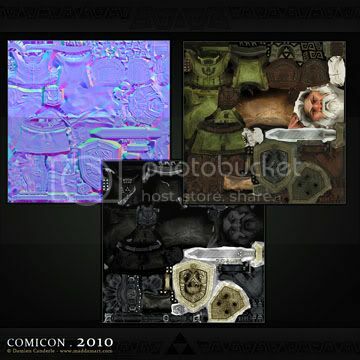 The textures, shapes, meshes etc. required to create this masterpiece is not something that you can learn simply by watching online tutorials. It takes a special understanding of the software to make it do something this wonderful for you. At the same time though this is a really great piece of artwork. 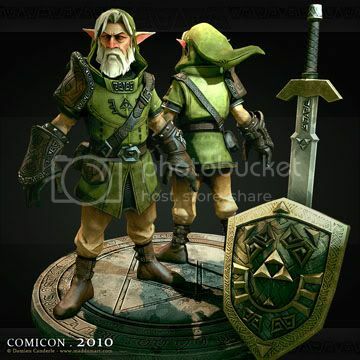 Link’s facial expression, his equipment; it all looks like something out of a fan fiction. The artistic and technical minds are meeting in this one piece of art and I have no doubt that the creator, Damien Canderle, is a real master of his craft. 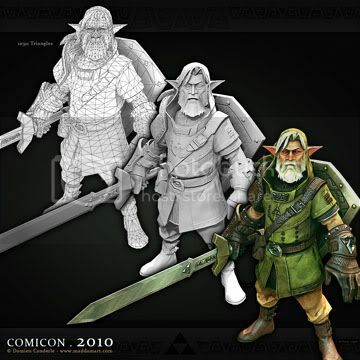 What do you think of Elder Link? Does he look like what you’ve imagined? Do you think he’s accurately depicted? Let us know your thoughts in the comments.